"Thornton Wilder: A Life brings readers face to face with the extraordinary man who made words come alive around the world, on the stage and on the page." "Comprehensive and wisely fashioned….This book is a splendid and long needed work." Thornton Wilder—three-time Pulitzer Prize winner, creator of such enduring stage works as Our Town and The Skin of Our Teeth, and beloved novels like Bridge of San Luis Ray and Theophilus North—was much more than a pivotal figure in twentieth century American theater and literature. He was a world-traveler, a student, a teacher, a soldier, an actor, a son, a brother, and a complex, intensely private man who kept his personal life a secret. 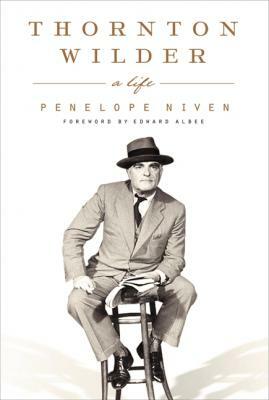 In Thornton Wilder: A Life, author Penelope Niven pulls back the curtain to present a fascinating, three-dimensional portrait one of America's greatest playwrights, novelists, and literary icons. Penelope Niven is the author of critically acclaimed biographies of poet Carl Sandburg and photographer Edward Steichen, as well as Swimming Lessons, a memoir, and Voices and Silences, coauthored with the actor James Earl Jones. She is the recipient of three fellowships from the National Endowment for the Humanities, the Thornton Wilder Visiting Fellowship at the Beinecke Library at Yale, and other fellowships and awards.